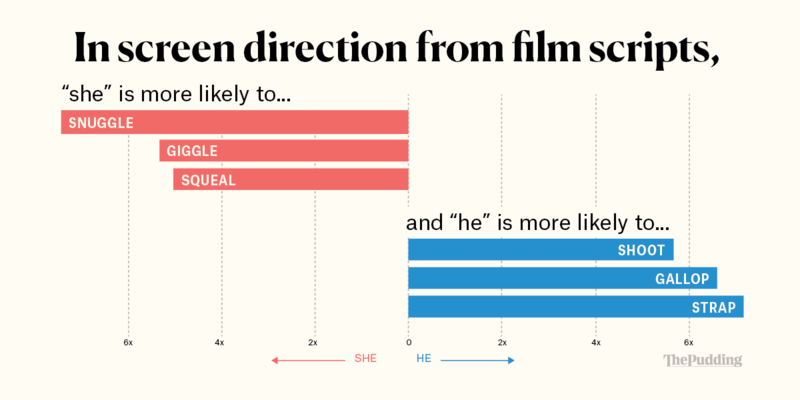 I have a new visual essay up at The Pudding today, using text mining to explore how women are portrayed in film. The R code behind this analysis in publicly available on GitHub. I was so glad to work with the talented Russell Goldenberg and Amber Thomas on this project, and many thanks to Matt Daniels for inviting me to contribute to The Pudding. I’ve been a big fan of their work for a long time!